Mikro ERP is being implemented in one of the companies under Ghantoot group. Departments of EUROFAB (e.g. 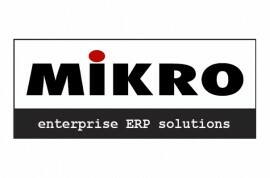 but are not limited to Purchase, Project management, Project Planning, Human Resources, and payroll) will be using Mikro ERP once implementation is complete. Implementation underway of expenses at the level of different projects and head office level. Implementation underway of staff & engineers petty cashes at the level of different.